Rihanna's best-selling PUMA creepers are hitting the stores again in three new colours. The sneakers were originally released in traditional black, but will now be available in a variety of colorways, including coral cloud pink/green/oatmeal, a tonal peacoat/cool blue combo, and an off white/gym version of the sneakers. 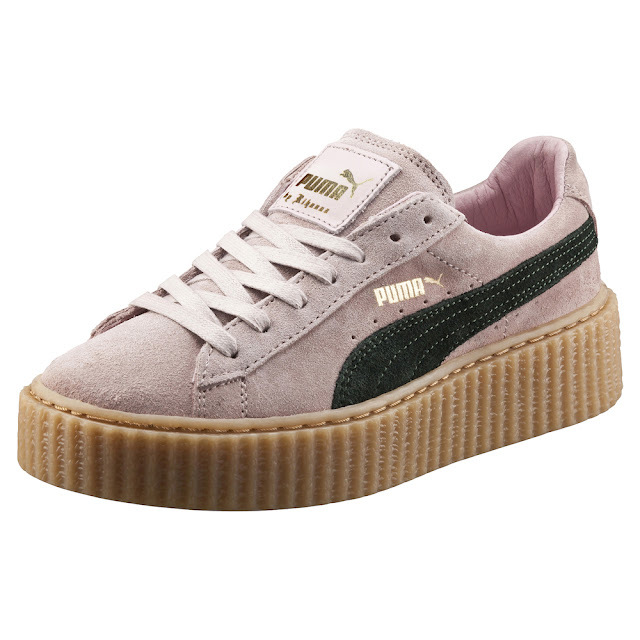 The Rihanna x PUMA Creepers are available at PUMA SELECT stores in Cape Town (Bree Street) and Johannesburg (Braamfontein). The sneakers sold out when they were released last time, so don’t take too long to decide if you are going to scoop the season’s hottest IT sneaker!